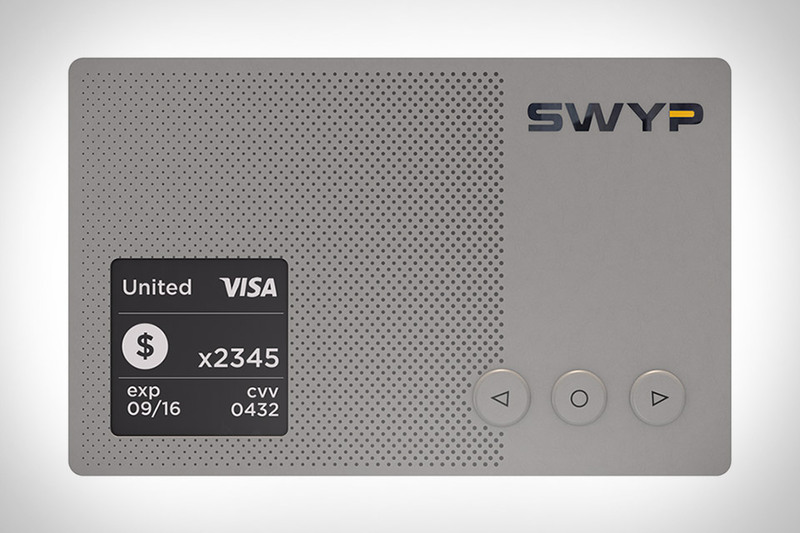 Like a couple other devices before it, Swyp Card is ready to replace all of the cards in your wallet. The metal card can store all your credit, debit, gift, and loyalty cards, is accepted at all the same places as a plastic card, and works with a companion app to track transactions and attach receipts. It also learns your purchasing habits, so it keeps your most used at the top, and thanks to a built-in display and buttons, it works just fine even if your phone's not around. In this modern world of emails and texts, handwritten notes are something rare. They're more personal, more vital. Sometimes you just don't have time to write when you'd like to. Enter the Bond Handwriting Robot. It takes your digital messages and turns them into thoughtful handwritten notes on your choice of notecards. You can choose from one of Bond's pre-created handwriting styles, or, for an extra fee, have the robot learn your handwriting for a note that's as authentic as if you'd written it yourself. Constantly checking your phone is rude. So is constantly looking at your wrist, whether you're checking the time or just seeing who's liking your latest Instagram post. The Mota Smart Ring promises to move your notifications to somewhere even more discreet: your hand. Powered by Bluetooth LE, it uses an LED touchscreen to keep you up to date, combined with subtle vibrations to let you know when you've received a notification. Now you just need an excuse for why you're staring at your palm all day. There are over 600 million people using WhatsApp. Odds are your friends and family use it. So when you're abroad, why not save yourself typical SIM fees and grab a WhatSim instead. This single SIM card works with over 400 operators in roughly 150 countries, letting you chat over WhatsApp free of charge. If you want to send more than just texts, you can buy credit packages to enable sharing of photos, videos, voice messages, your location, and contacts quickly, easily, and affordably. And when WhatsApp adds support for voice calls, it'll support that too, making it a one-stop solution for overseas communication. MB&F is known for its intricate timepieces, so it's no surprise that when it came time to design a standalone clock for its Mechanical Art Device Gallery stores, they didn't hold back. The Nixie Machine is the creation of German artist Frank Buchwald, and uses six original Z568M Nixie tubes made by East German company RFT in the '60s to display the time. Set in three pairs, the tubes represent hours, minutes, and seconds, or day, month, and year, and are housed in a steel and brass structure comprised of roughly 350 components, including GPS and DCF77 receivers that allow it to set the time and date automatically. Limited to just 12 pieces worldwide. Synthesizers used to be big. Very big. The Teenage Engineering x Cheap Monday Pocket Operator is a synthesizer, but it isn't big. In fact, it's small enough to fit in your pocket, yet still offers a host of analog controls, high-quality components like a Silabs EFM 32 gecko CPU, Cirrus logic DAC, and Knowles speaker, and features like an LCD with animated graphics, real synthesizer engines, punch-in effects, 3.5mm input and output, and a folding wire stand. Available in three models: Rhythm, a drum machine, Sub, a bass line maker, and Factory, a melody synthesizer. Holographic technology has been a common part of science fiction for decades. With the Microsoft HoloLens, the team in Redmond is looking to make it a common part of your everyday life. Powered by Windows 10, this head-mounted solution brings apps, videos, games, and even the web into your view in high definition, where they integrate with your physical spaces and things. You control the interface using nothing but your hands and voice, and thanks to the transparent lens, you never lose sight of the real things around you. Hitting store shelves in the not-far-off future.